The Dark Tower. Books I through IV. Roland. Jake. Eddie. Susannah. They are a ka-tet. In non-Dark-Tower speak, they are a band of friends, but the level of relationship is far different than just friends. There is a thing in Roland's world, a ka-tet, which means something more than your average loyalty. It runs in the blood. These four are on a quest together, but further, they are people brought together because the only chance they have to meet their quest, is by being together, as one. As a ka-tet. Roland's first ka-tet was very young, as was he. And he is the last of them. He is the only one left in search of the Tower. And in the first book he meets the first member of his ka-tet. Jake. But he doesn't know it yet. Jake is a child from the when of 70s New York. 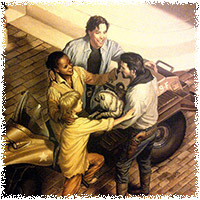 And he is pushed into Roland's world and then shoved back into his own when Roland must make a choice... And upon getting more and more disturbed about being dead, but being alive, Jake receives signals in his when, that call him back to Roland, where he is waiting in his world for him with two new members of the ka-tet. 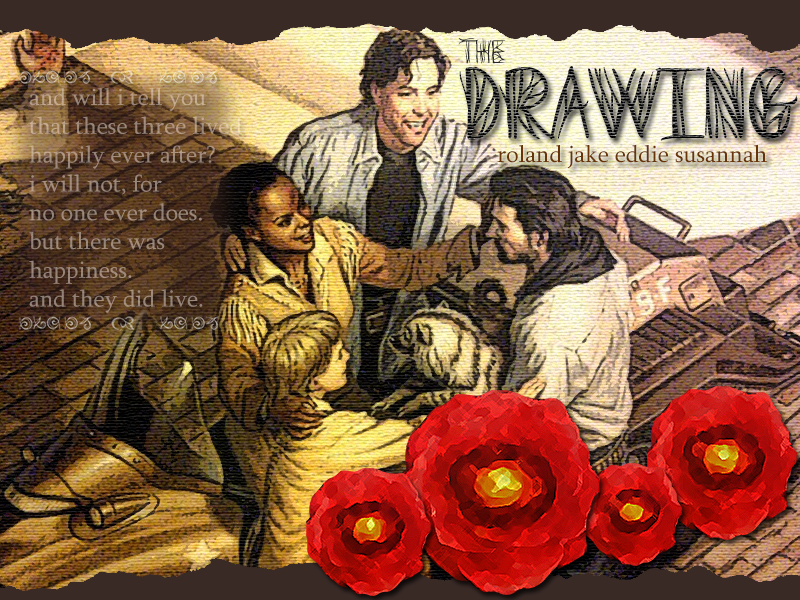 In the second book, Roland draws Eddie and Susannah out of their whens, New York. And they complete the new ka-tet. But not willingly. They fight. They deny. But in the end, the power of it wins out. 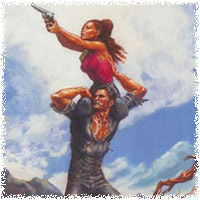 And they all continue with Roland, the last gunslinger, in his quest for the tower. In the third book, they journey together, following the path of the beam, following the tower. And they encounter awful things in a world that has moved on. And they face a formidable technology that proves imperfect against their ka-tet. 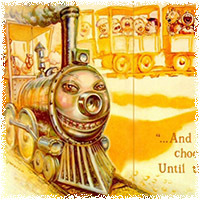 In the fourth book, Roland recounts his tale of his childhood, and when he becomes a gunslinger before his years allow. And is sent out of the way only to be right in the middle of the fight. He tells of Susan, of Cuthbert, of Alain, and a town where they worked for the dark. After the telling they are faced with a tall structure, and we wait to see what finds them.